To paraphrase the immortal Bill Haley, there’s a whole lotta blogging goin’ on. 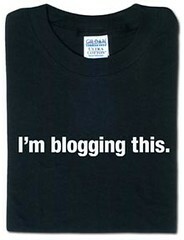 8 million American adults say they have created blogs; blog readership jumped 58% in 2004 and now stands at 27% of internet users; 5% of internet users say they use RSS aggregators or XML readers to get the news and other information delivered from blogs and content-rich Web sites as it is posted online; and 12% of internet users have posted comments or other material on blogs. According to the Technorati web site, new blogs are created at the rate of one every 2.2 seconds, or approximately 38,000 new blogs each day. Bloggers as a group produce some half a million posts daily. That’s a lot of blogs and a lot of bloggers. This unfortunately seems to be the case in the ADR world, where blogging remains virtually unknown (a marked contrast with the legal community, where blogging has caught on like wildfire). Curious about the status of ADR blogging, I conducted an impromptu census of alternative dispute resolution and mediation-related blogs. What I learned is that blogging remains uncharted territory in the conflict resolution world. Even the Harvard Program on Negotiation maintains no mediation blog (at least none that I could find on their web site). Indeed, very few active ADR blogs exist at all. What follows are the results of my admittedly informal and largely unscientific study of the status of blogging in the alternative dispute resolution field. The very best, and one of my very favorite all-time blogs, is the Campus-ADR Tech Blog, edited by Bill Warters. Warters posts on tools, resources, web sites, and news for those who work with conflict in higher education, as well as for mediators, trainers and others whose interest in conflict extends beyond the university setting. This blog is part of the impressively well-organized Campus Conflict Resolution Resources Project at Wayne State University. One of the oldest ADR blogs is the Center for Information Technology and Dispute Resolution’s ODR News Blog, which can be found on the home page of the CITDR web site. As you might guess from its title, this blog provides news and analysis of issues involving the online dispute resolution field. Postings are well written and informative, and focus on cutting-edge trends and technology. The Peace Library at the Centre for Conflict Resolution based in Capetown, South Africa, publishes a blog, Peace Library News, which has a focus on conflict resolution in Africa. This blog, which was first published on January 28, 2005, is a relative newcomer to the blogging community, and offers unique links to publications and articles not typically found on more familiar sites such as Mediate.com. There are three other active blogs that are dedicated solely to ADR. One, of course, is yours truly, Online Guide to Mediation. I began posting on January 12 of this year, so this blog is a relatively recent addition to the blogosphere. As far as I know, mine is the first and only ADR blog to have been allotted an ISSN number by the Library of Congress. It is also, to the best of my knowledge, the first continuously published, woman-owned and –published ADR blog in North America and perhaps even the world. Another active blog with an exclusively ADR focus is Mediation Mensch, the brand-new creation of author and workplace dispute resolution expert Dina Beach Lynch. Mediation Mensch is an online resource for the ADR entrepreneur who is looking for business and marketing strategies and tips, along with a little friendly encouragement. The remaining active ADR-focused blog is The National Arbitration Forum Blog published by the National Arbitration Forum. This blog covers news on arbitration as well as other types of dispute resolution processes. Two other law blogs which from time to time include information and perspectives on mediation and other ADR practices are Charles Abut’s New Jersey Divorce, and the Maine Divorce Law Blog. Both of these address family and divorce law issues in their respective states. My list is technically complete, but my conscience nags me. I confess: there remain two blogs I have neglected to mention so far. One of these had but a day-long life span, but its title was so well optimized that it continues to attract the attention of search engines. This was the ADR, Mediation, Arbitration & Conflict Resolution Blog, which consists of a single post published on January 11, 2005. It’s too bad, because the premise on which this blog rested held much potential. Looking at the overall picture of the status of ADR blogs currently, there are six active blogs dedicated to some aspect of alternative dispute resolution; three blogs which are not strictly ADR blogs but whose content from time to time includes dispute resolution topics; two inactive ADR blogs; and one blog containing automated feeds for ADR-related stories. That’s 12 in all–a surprisingly low number for a field that is growing and becoming increasingly visible all the time. I certainly hope that changes in time as ADR professionals come to recognize the benefits of blogging in the way that attorneys and others have, and that we see more original blogging from our ADR colleagues. Thus concludes the Online Guide to Mediation Unofficial Survey of Alternative Dispute Resolution Blogs. Readers, if I have neglected to mention a web site that properly belongs on this list of alternative dispute resolution blogs, assist me in correcting this oversight. I welcome your comments, which can be sent to me at mail [at] mediationnewsonline.com. I will be sure to include your submissions, with proper attribution, in an upcoming post. Many thanks to you all.